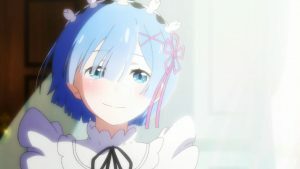 In any genre of anime, there are always incredibly awesome moments that we cherish when we watch our favorites, or entirely new ones that no one has heard of yet. One of the reasons that the shounen genre is so popular is because of its fabulous and badass fights that are almost always animated beautifully! Not only do we get to see these fight scenes in gorgeous colors and flashes of light, but we also get to experience the acting behind it, too! 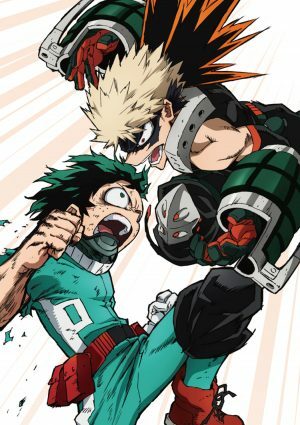 These top ten anime fight scenes are sure to make you sit on the edge of your seat, watching not only the awesome visual affects, but also the character development between two opponents that make the fights all the better! 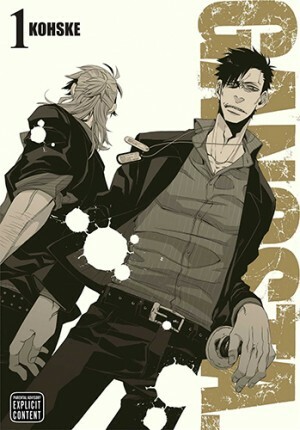 The summer of 2015 was a rich time for anime that was badass, and of course, Gangsta. is one of them! It tells the tale of two men, Worick and Nicolas, who were called and paid to do any job, which essentially meant that they were jacks of all trades. Their line of work fell under dangerous territory, but they were mostly well-respected men and were thought to be incredible workers. Of course, the fact that they live in a dangerous territory is not a coincidence, and both Nicolas and Worick have pasts that are sure to make you love them even more. While there are mini conflicts within their neighborhood, there’s always a higher power that causes turmoil amongst all characters. Essentially, Gangsta. is a story of discrimination within a governmental system that started with causing people to suffer, and expecting them to pay for it. One of the main things that we notice about Nicolas is his angry features — like he’s going to kill you, which he very well could. He is also someone who was trained in this area of expertise, since he is a Tagged, to use a katana sword to slay enemies. 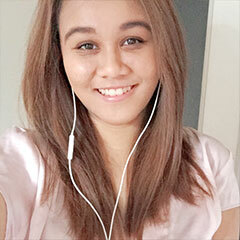 A Tagged essentially refers to something akin to human experimentation, where a large number of people are given drugs to test their ability as a human being, but of course, it ultimately falls through and those who are Tagged are ostracised because they pose a potential danger to society. While we only catch glimpses of Nicolas’ strength in the beginning, we really start to see his ruthlessness when he’s fighting Doug, another Tagged of a lower rank. When these two spar, it’s incredibly intimidating to watch, because of the sheer difference in skills between those who are Tagged and those who are considered to be normal human beings. Not only was the animation for this scene extremely well-done, but being able to see their fight in the anime creates a whole new experience than when you witness it in the manga. It’s fast-paced and mostly in the air, but it was without the use of weapons apart from Nicolas’ katana! The exchange between the two was one of the finer things about fight scenes in anime! The first thing that we find out about the Okumura siblings is that their biological father is Satan. Their mother, of course, is a human woman and had died giving birth to them. The only strange thing about this fact is that the older of the two brothers, Rin, is the one that possesses demon powers, while Yukio does not. The previous Paladin, the head exorcist at the academy they attend, also known as Shiro, was the one that raised the two boys as humans, and not as demons. Of course, Rin and Yukio are left as orphans when Satan, who had been possessing Shiro, completely takes over his body which ultimately kills Shiro. Because of Rin’s big secret, he has to be extra careful when he trudges the floors of the academy, otherwise his life could be in danger. Amaimon, also known as the Earth King, is incredibly interested in Rin’s existence and the fact that he is classified as a demon. When he and Rin begin fighting due to the fact that Amaimon was intending to harm Shiemi, Rin’s love interest, the power that exuded from both of them was incredible. Rin had been given a sword by Shiro, and it was a seal to keep his demonic powers in check. 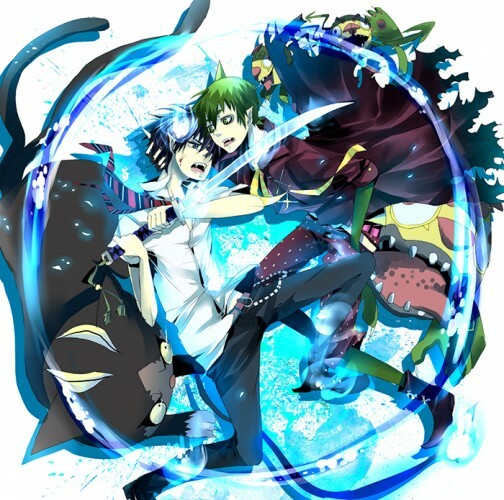 However, when he fights Amaimon, the sword slowly begins to break, which causes Rin’s powers to overwhelm his body and cause him to lose control. From that point on, Amaimon realisees that he cannot win against Rin — which is a huge testament to Rin’s powers, since Amaimon is considered incredibly strong! Watching the extent of Rin’s powers is intimidating, as he still has to learn to possess those powers. 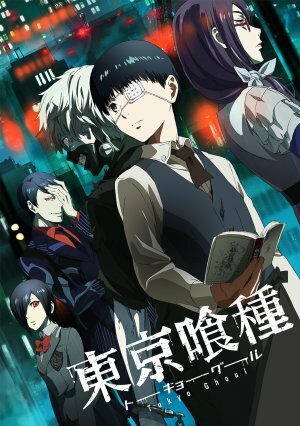 One of the reasons that Tokyo Ghoul became so popular incredibly quickly after its anime release is because of how intensely and forcefully the plot was introduced. 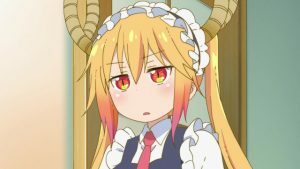 While it starts off as lighthearted and kind of cute, the first episode ends with countless questions and leave you wanting more. Of course, the biggest deal is that Kaneki, the protagonist, had turned into a Ghoul instead of having died when he was eaten. Naturally, this opened up a whole new world to not only him, but to us, as well. Although Kaneki struggles with questioning his existence and as to whether he’s a human or a Ghoul, he is introduced to a new family of Ghouls who take him in and help him to deal with his new identity — one of the people being Kirishima Touka. From the very start, when Touka’s character is introduced, she’s seen as someone who is compassionate towards those close to her, and as a result, she is incredibly wary of those who she acknowledges as her enemies. Mado is akin to a hunter of Ghouls and when he kills them, he uses their quinques as his own weapons to hunt other Ghouls. When Touka received wind of this from a younger Ghoul named Hinami, she was livid and immediately went after him. Mado, of course, had secretly been wanting to capture Touka for years but couldn’t find her because of the masks that Ghouls wear. When Mado recognized her mask (a bunny), he became excited and wanted her head. The tension and anticipation throughout this fight was immense, as both characters are filled with hatred and a bloodlust that surpasses other fights in the anime. Because Touka is so filled with rage when she finds that Mado used Hinami’s mother’s quinque as his new weapon, her actions are quicker than usual and she is, of course, able to take out Mado for the horrid thing he had done to not just a Ghoul, but a child. 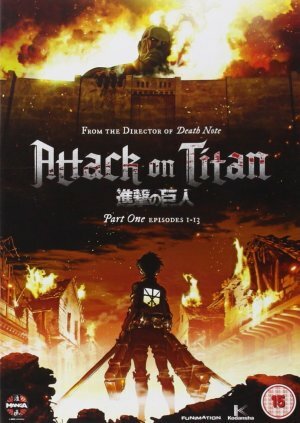 Attack on Titan was one of those anime that completely blew up in terms of popularity when it was announced to be an anime. The fanbase was huge, and for some good reason, too, since the plot of the series is incredibly unique and dark. The fanbase itself made tons of jokes whenever their favorite characters would get killed off, because they claimed it was impossible for certain characters to stay alive all the way through — even if they were considered protagonists. One of the most adored characters is Levi, because he’s small and yet he is a corporal who leads his men into battle, knowing that he is always taking a risk and putting his life on the line. 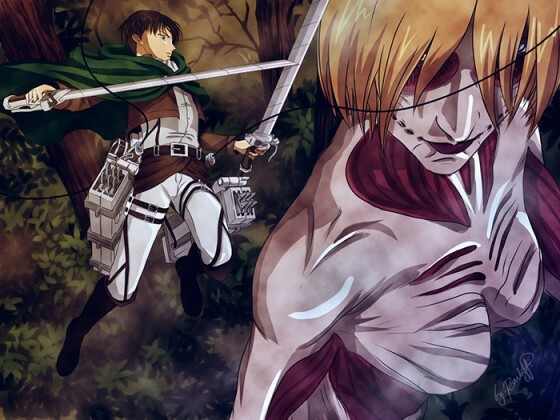 In the anime, one of the defining moments of Levi’s character was when he was fighting against the Female Titan. During his training with his men, he always made sure to tell them to make a clean cut on a Titan’s neck in order to ensure immobility. 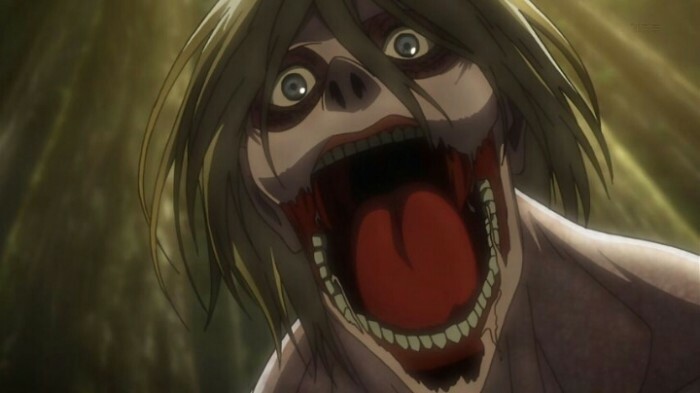 While on the battlefield, he had his squad that backed him up, Levi’s genuine disgust for Titans really showed through right before he cut the back of the Female Titan’s neck. His lack of hesitation and incredible skill is what makes anime-watchers feel awe — because he’s such a badass and he merely thinks of it as doing his job to protect humanity. Because he’s so skilled at what he does, and because he genuinely wanted to keep the human race alive, his fight and ultimate win against the Female Titan certainly did wonders for the plot of the story. In the supernatural world of anime, there is always conflict between spirits and gods that inadvertently involve intense violence. 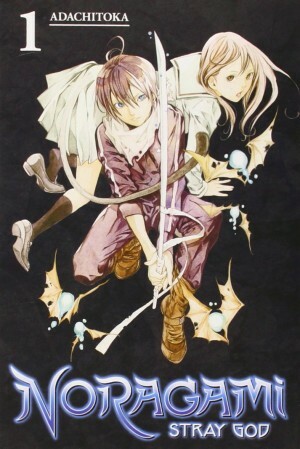 Noragami is unique in that one of the protagonists is a human girl named Hiyori who is connected to both the real world and the spiritual world, due to a car accident that she was in. 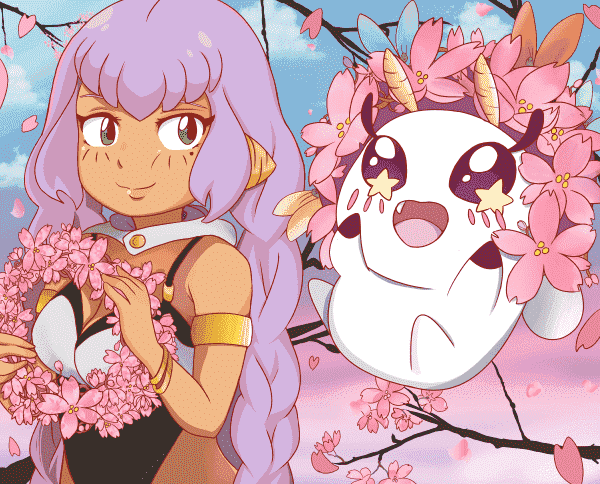 She is dragged into a world of gods and spirits and apart from trying to get herself back to normal, Hiyori also experiences the inner networks of the gods and their relationships with each other. 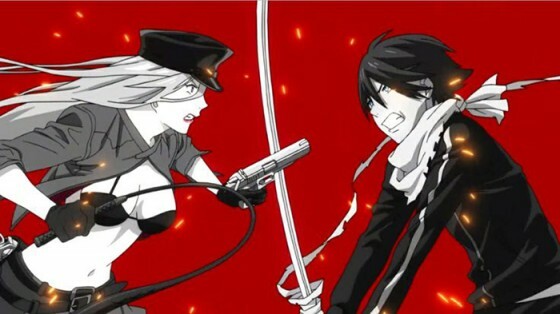 Bishamon is one of the gods in the Noragami universe who is a high-ranking God. She has many Regalia that she uses as weapons when she fights off demons and sends lost souls to where they should lay to rest. Because of her reputation amongst those in the supernatural world, she and Yato, the male protagonist, don’t see eye to eye. There is a history between them, of course, that we don’t know about, but the tension between them makes Hiyori feel uneasy. Bishamon sends her Regalia to attack Yato and his Regalia, Yukine, and the hostility between the two gods is evident and prominent. To Hiyori, watching these two gods fight each other is intimidating, and it makes her, as well as the audience, realize that true strength that Yato possesses. Not only was he up against Bishamon, a highly regarded god, but his reputation as the god of calamity certainly made the fight more interesting to watch! Soul Eater is the type of shounen that most people like because of its concept of weapons “eating” souls in order to transform into a Death Scythe, after consuming one hundred souls. Each meister has their own scythe and they have incredible relationships with them, since it’s impossible to actually improve as a tag team if they don’t have some form of a relationship. 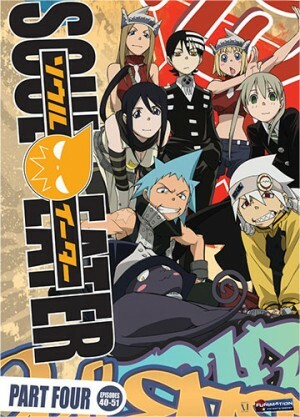 The main meister and scythe tag teams are Maka and Soul, Black Star and Tsubaki, and Death the Kid and the Thompson sisters. While all of the scythes have their own sets of skills, Tsubaki is an interesting scythe, because of the fact that her familial background is not revealed until later on into the series. She’s a sweet girl who is incredibly caring towards Black Star, but her bloodline is one that would make others fear her if they knew her. 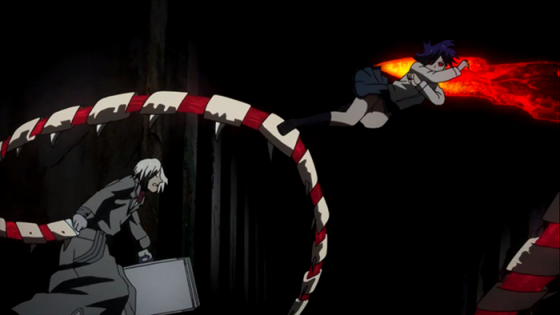 In a particular arc of Soul Eater, we are introduced to a demon blade that is said to possess people into using him so that he can gather and endless supply of souls to eat. When Tsubaki receives wind of this, she of course, knew that it was her brother when the name Masamune was uttered. It was her older brother — someone she had never gotten along with because of their differing perspectives on how a scythe or weapon should live: with or without a master to be loyal to. 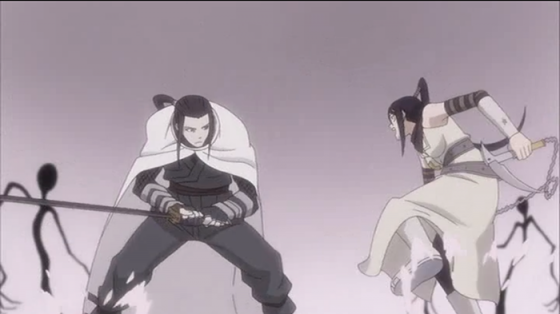 Tsubaki enters another realm to see her brother, to speak to him, to at least attempt to get through to him. When his sister is right in front of him, Masamune is unamused and proceeds to tell her that they will settle this family feud right now. After incredible sets of skills from a family with a noble title, the two siblings are at a crossroads, with Tsubaki torn between saving her brother from a life of darkness, or to save herself and give up on it. Naturally, the villain is taken down, and not without an incredible fight, first. Masamune’s bloodlust did not affect Tsubaki, and she still possessed the same integrity that she had long before the feud with her brother. 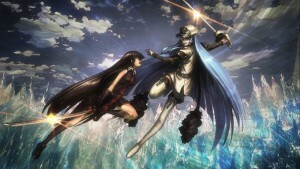 As such, Tsubaki received character development from a fight between hers and her brother’s ideals. 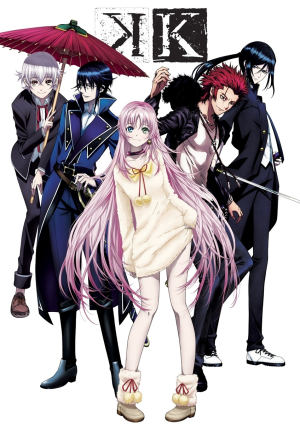 From the very start, K Project is a complicated anime to understand because it’s filled with so many unanswered questions until much later on in the plot. 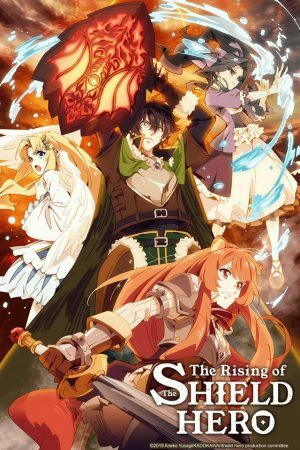 The gist of the anime is that it revolves around Clans of the area and it questions each character’s motives and goals. Of course, belonging to any Clan was a good sign for a character, because it meant that he was worthy enough to belong to a clan. If someone did not belong to a clan, they were seen as potentially a threat, because they served no one and they were loyal to no one. Naturally, that was seen as a safety hazard and was usually dealt with accordingly. When the Kings of the Clans are chosen, they are usually chosen because they have a strong willpower and can lead others to trust them and live safely. When that is put to the test and the three main Kings of the series fight each other, it truly is a spectacle. The three Kings have immense power and most definitely use this to their advantage. No other member of any Clan is directly involved, as it’s revealed in the series that only Kings can kill Kings. 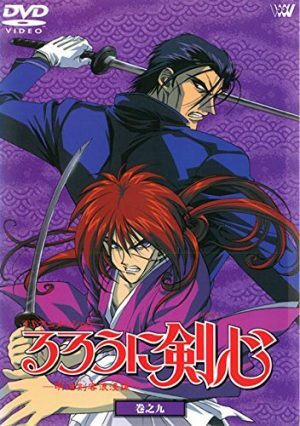 Previous fights and spars in the series were based on and motivated by the complexity of the relationship between the Red Clan and the Blue Clan. 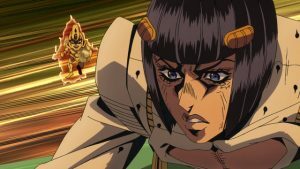 However, when the anime was coming to a close, it was crucial to create a climax — a moment in which everything is pieced together to make the audience understand, or at least try to understand, what had been happening the entire time. 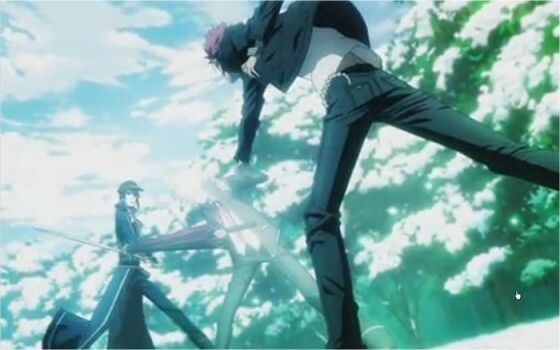 All questions are answered when Isana Yashiro fought against the Red King (Suoh Mikoto) and the Blue King (Munakata Reishi). This, of course, meat that Yashiro had to have similar powers to the two, and of course, it’s revealed that he is the Silver King. The battle between the three is truly luminous in that the animation is gorgeous, and the fact that it’s done so well makes the storyline that much more painful and distinct. Not only did we get to see Suoh truly be a badass in his fight, but we also get to see Yashiro’s true skills when it comes to fighting. Talk about development! One of the best things about Gintama is that apart from its crude and unadulterated comedy, is its fight scenes. 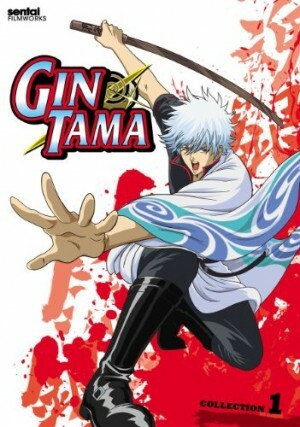 Gintama truly has the mark of a shounen although it does have a few inconsistencies that cause it to be unconventional. There’s an abundance of specific moments in the anime that can touch different parts of your heart, and what most fans love about the series itself is that it never loses sight of its characters’ true motives. 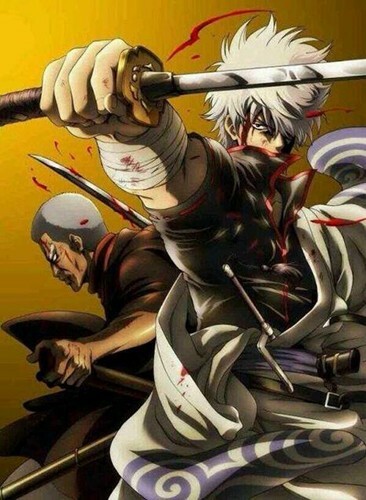 Although Gintoki is lazy and doesn’t pay Kagura and Shinpachi as he always should, he was once feared as the White Demon, something that has been referred to several times in the anime. One of the best demonstrations of his title is when he gets into a battle with Jirochou, one of the Four Devas of Kabukicho. When we are first introduced to Jirochou and Gintoki’s relationship, it’s one that is better and causes us to think that they wouldn’t get along. Of course, Sorachi, Gintama’s writer, has an interesting way of making us all love Gintoki with each and every fight that he gets himself into. Jirochou had originally joined the Four Devas to watch over Otose at the request of her deceased husband, despite being in love with her. Not only that, but he had a daughter, Pirako, who he felt extremely attached to, despite abandoning her. From the very start, Jirochou poses as a problem because there was simply too much in his past that affected his current state. 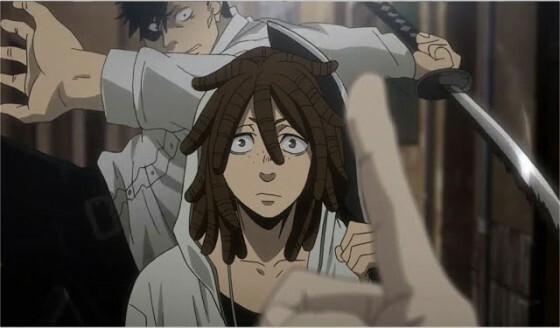 Although there is often mock conflict between Otose and Gintoki because he doesn’t pay his rent, he is still protective of his landlord and goes against Jirochou to protect not only Otose, but the other Four Devas, as well. When the two cross katanas, it is found that they see themselves in each other. Despite this fact, they continue to fight until Jirochou, of course, is taken down, but with dignity. Not only did Gintoki prove that he could definitely be trusted with the task of protecting Kabukicho, but he also freed Jirochou from his burdens and allowed him to go back to his family. One of the most amazing things about Gintama is that ultimately, there usually is no bad guy — which is what makes the fights that much more awesome! 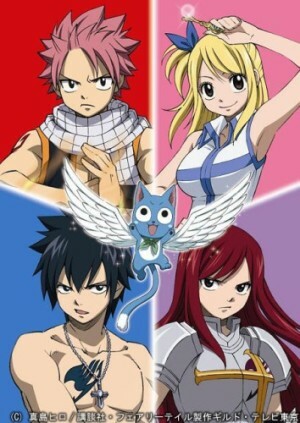 Fairy Tail is becoming one of those shounen that everyone has watched at least a few times. It’s beginning to be thought of on the same level as Naruto, Bleach, and One Piece, which is a huge step for the series! 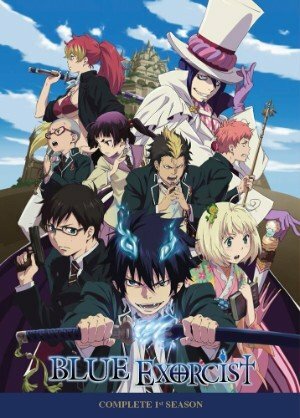 Qualities that cause this anime to be so high up there is its characters who are always willing to show off their strength in order to protect their guild. 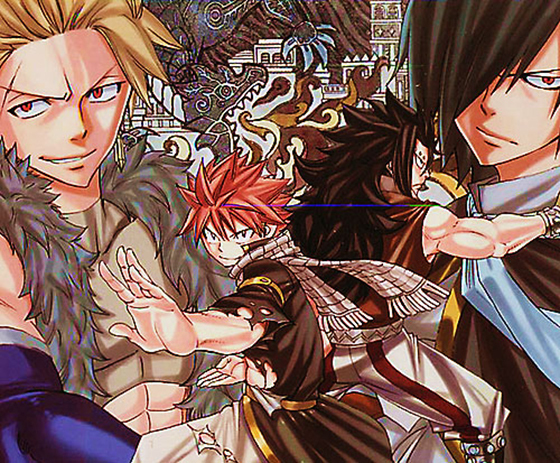 During the Grand Magic Games, after Fairy Tail had its “strongest guild in Fiore” title stripped, Natsu and Gajeel are faced with Sabertooth’s — the new strongest guild in Fiore — Dragon Slayers: Sting and Rogue. What’s revealed about these twin Dragon Slayers is that they are thought to be second-generation Dragon Slayers. While this means that some of their powers are more enhanced compared to Natsu and Gajeel, they still do not have the initial strength that Fairy Tail’s Dragon Slayers do. The fight between them is absolutely mesmerizing, as you watch flash of light after flash of light, and watching the spectators be in a state of awe as they watch Dragon Slayers tough it out. While Natsu and Gajeel don’t have the “powers” that Sting and Rogue possess yet, their sheer determination to win, along with their now-second-nature strength is what drove them to believe in themselves and ultimately win against the Sabertooth Dragon Slayers. Not only is the audience amazed by Natsu and Gajeel’s refusal to give up, but so were the other characters that watched their friends from afar. Truly, this fight is a testimony to what Dragon Slayers are definitely capable of. 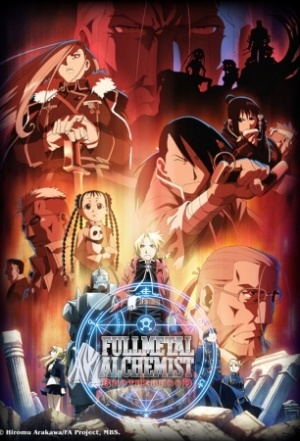 One of the most influential anime that depicts Western culture while still displaying Japanese roots is definitely the Fullmetal Alchemist series. It’s filled with so many intricately placed secrets that contribute to the plot, and it never strays from the actual mission that the Elric brothers wanted to achieve. There have been praises from countless fans about the villains of the series — how they are all so well-developed and that the end of their character arcs suits them incredibly well! It takes a while for all of the villains to be vanquished, of course, but the most satisfying, in terms of plot and character motivation, is the fight between Scar and King Bradley. Throughout the entire series, we as the audience know that King Bradley is working with the Homunculi. Edward and Alphonse don’t know, and neither do other members of the State until the anime is coming closer to an end. 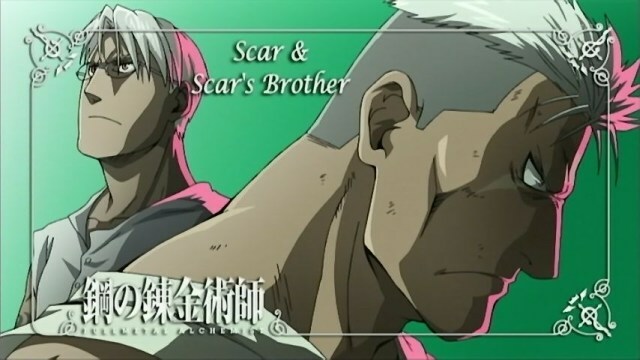 Scar, who had detested the government and held them accountable for the death of his brother, is finally faced with King Bradley, the king and president of Amestris. He is appalled by the fact that the man is able to allow millions of lives being lost, merely for the production of a Philosopher’s Stone. Essentially, King Bradley (aka Wrath) is afraid of old age, and yet, that is the very way in which he dies after his Philosopher’s Stone is extracted from him. The fight itself between the two is one that is high in tension, as there is a ridiculous supply of pent up anger on Scar’s part. At this point, the audience does not feel sympathy for King Bradley, but rather, is rooting for Scar to gain back his justice. It was a rough ride, but the end results definitely contributed to restoring Amestris back into order. Clearly, there are a number of memorable fights within the anime world that we all appreciate. The ones listed above are pretty badass, considering the motives behind it — or the fact that it just looks awesome! 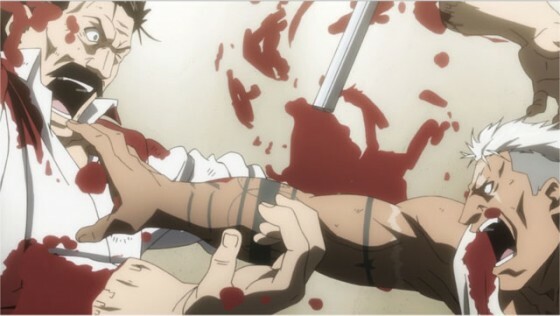 Without a reason or with one, these anime fight scenes are certainly among top notch! Let us know what you think in the comment section! 'Human beings are made of water–- we were not designed to hold ourselves together, rather; run freely like oceans, like rivers.' Two of my favorite things in the world is nature and laughing until you can't remember what was so funny. When things are difficult and you feel as though you are a cacophony of profanities and anxiety, just remember: we are made of water and can move as freely as we wish.